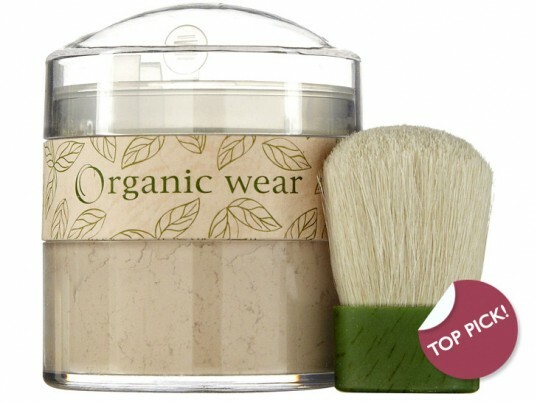 If you’re looking for quality natural makeup that won’t empty your bank account, the Organic Wear range by Physician’s Formula offers myriad powders, tinted moisturizers, bronzers, eyeshadows, and lip glosses that are 100 percent free of harsh chemicals, synthetic preservatives, and parabens. Available in a great variety of shades, Maybelline’s line of mineral makeup is talc-, oil-, and fragrance-free. The foundations, concealers, and illuminators not only provide great SPF protection but they also absorb shine very well, so they’re great for women with oily skin. Besides offering sheer and natural coverage, they also blend into the skin without caking. Whether you’re looking for a great powder, long-lasting foundation, or eye shadows with glamourous shades, Sally Hansen Natural Beauty covers it all. Inspired by Carmindy, the makeup artist from TLC’s What Not to Wear, the brand is paraben-free albeit not quite as natural as its name applies. Still, if you’re looking for a healthier version to conventional drugstore cosmetics, this is a serviceable alternative. 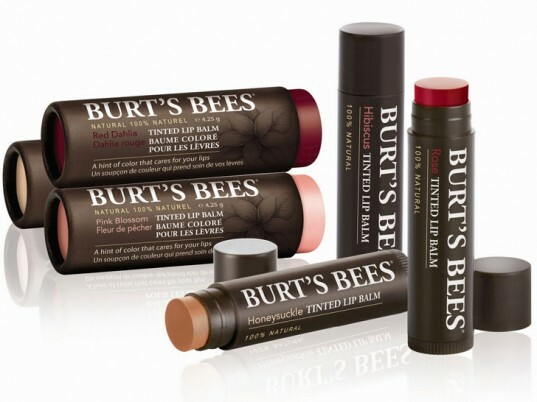 Not only does Burt’s Bees sell wonderful skincare products, but it also carries a small variety of lip glosses, tints, and glimmers chockfull of beneficial ingredients like vitamin E, beeswax, and sunflower and coconut oils. The best part? They’re inexpensive and available just about everywhere. 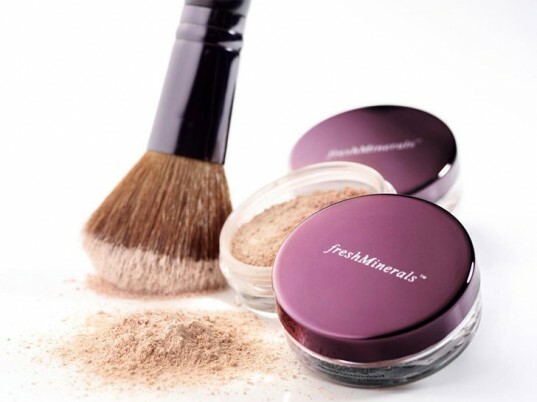 Fresh Minerals offers myriad mineral cosmetics with everything from foundation to eyeshadow. It’s also talc-, oil-, and fragrance-free, so it’s less likely to block pores and cause breakouts. Bonus: The minerals contain natural SPF, which protects your skin from harmful ultraviolet rays. @Yuka For just a little bit more moola, I recommend Afterglow Cosmetics, which uses 100 percent natural ingredients. I've been aware for a long time that if a major manufacturer suddenly comes up with a "natural" line, it's probably greenwashing and NOT 100% on the level. Stick with the companies that have been green from the start. @phila All companies were put on earth to turn a profit; personally, it doesn't matter what their motivation is, I'm happy if the big names take any steps to clean up their ingredients. Even a token gesture is better than zero progress. For many people, the drugstore is the first and last word in cosmetics, which was the main impetus for the post, and better alternatives, even if not perfect, are an improvement on the status quo. While I'll continue to lobby for a safer overall industry sans greenwashing, I'll take whatever I can get. I really like the fact that these companies are taking the time to make a bigger effort to become green(er). More expensive brands are more reliable for relying solely on natural or organic products and packaging. So if you're looking for companies that have been green from their inception, you can look to Dr. Hauschka, Suki, ilike or Pevonia skin care lines. Dr. Hauschka also has a new makeup line that is wonderful. Maybelline and Cover Girl test on animals. For me that's the most toxic act a company can commit. Unfortunately Maybelline, Cover Girl and Sally Hansen still conduct barbaric animal testing. Not to say the others don't, but these are three brands to definitely avoid. I was going to say the same thing as SuS. I don't use those products because of animal testing. Physicians Formula does not test on animals and I have the organic wear makeup. I tend to use m.a.c. makeup although it costs a little more, but they have vegan products, and they have a recycling program. Hi all, according to the corporate websites, Maybelline, CoverGirl (P&G), and Sally Hansen (Coty) no longer test on animals. You're not obliged to believe them, of course, but we did do our due diligence. 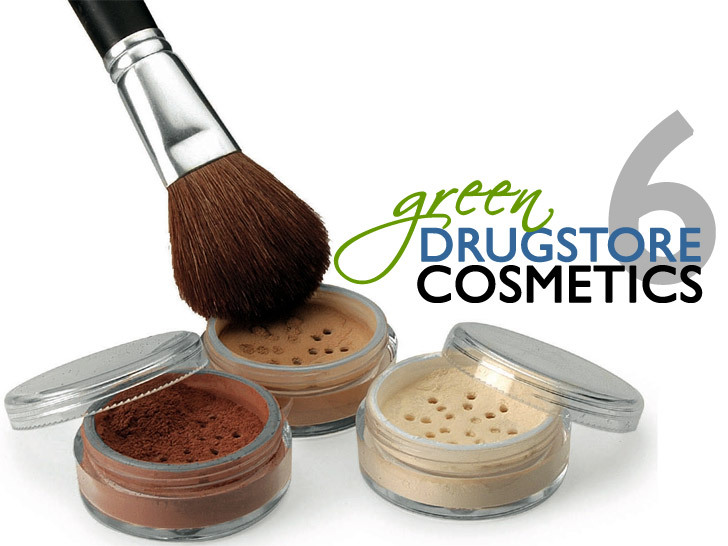 We'll also be publishing a story of cosmetics companies that are truly green�they cost a bit more, but I believe they're worth the extra money for those reasons you've listed. maybelline, cover girl, and sally hansen are major offender to the animal world. they still conducted animal testing up till now. surprised they made the list. eco-friendly but not cruelty free?? i'll pass! On the good side Faith in Nature (brilliant results with skincare, reasonably priced), Logona, Jason Organics, Lavera (organic and do a really good sensitive range),Balm Balm don't use animals for tests,worth complaining to companies that do test so they know they have a market for ethical products? If you're looking for quality natural makeup that won't empty your bank account, the Organic Wear range by Physician's Formula offers myriad powders, tinted moisturizers, bronzers, eyeshadows, and lip glosses that are 100 percent free of harsh chemicals, synthetic preservatives, and parabens. 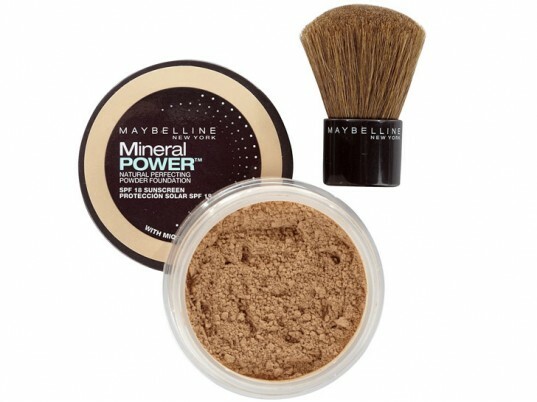 Available in a great variety of shades, Maybelline's line of mineral makeup is talc-, oil-, and fragrance-free. The foundations, concealers, and illuminators not only provide great SPF protection but they also absorb shine very well, so they're great for women with oily skin. Besides offering sheer and natural coverage, they also blend into the skin without caking. 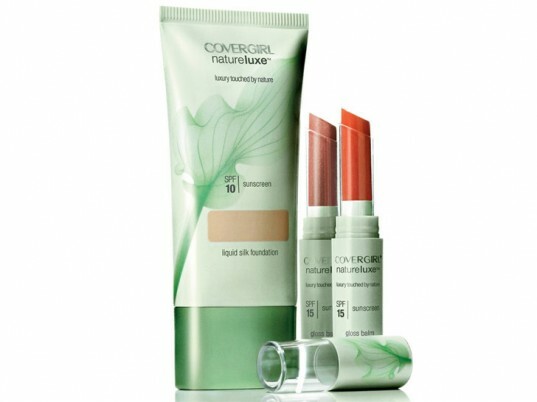 CoverGirl's entree into the world of natural makeup, NatureLuxe offers a selection of paraben-free foundations, mascaras, and lip glosses infused with ingredients like jojoba, cucumber, and honey. Several suspect chemicals still lurk, however, so scan the label for any personal deal-breakers, such as talc and "fragrance." Whether you’re looking for a great powder, long-lasting foundation, or eye shadows with glamourous shades, Sally Hansen Natural Beauty covers it all. Inspired by Carmindy, the makeup artist from TLC's What Not to Wear, the brand is paraben-free albeit not quite as natural as its name applies. Still, if you're looking for a healthier version to conventional drugstore cosmetics, this is a serviceable alternative. Not only does Burt's Bees sell wonderful skincare products, but it also carries a small variety of lip glosses, tints, and glimmers chockfull of beneficial ingredients like vitamin E, beeswax, and sunflower and coconut oils. The best part? They're inexpensive and available just about everywhere. Fresh Minerals offers myriad mineral cosmetics with everything from foundation to eyeshadow. It's also talc-, oil-, and fragrance-free, so it's less likely to block pores and cause breakouts. Bonus: The minerals contain natural SPF, which protects your skin from harmful ultraviolet rays.